Page Updated:- Monday, 31 December, 2018. Above photo 21 August 1983. Kindly sent by Chris Excell. Photo taken 15 December 2012 from http://www.flickr.com by Jelltex. Above sign left, June 1992, sign right 1987. Above card issued March 1955. Sign series 4 number 47. Hastings and St Leonards Observer, Saturday 31 March 1906. To let. 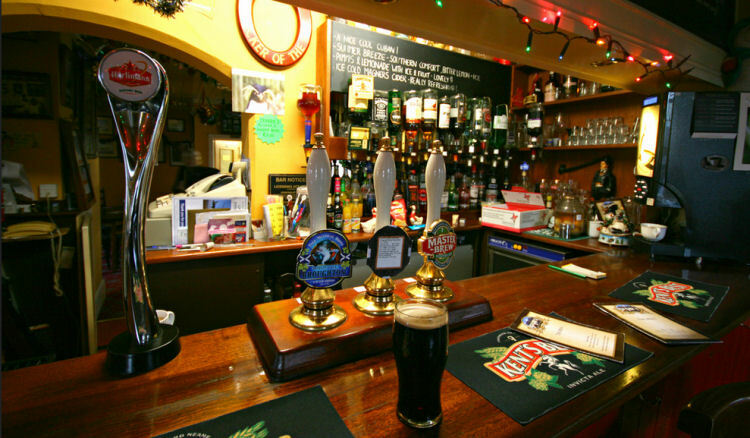 The Warren Inn, New Romney. Full licence, free for spirits, suitable for Poultry and Egg Merchant, Wheelwright, or Blacksmith, eight-stall stable, large shed, one acre grass, two acres arable land, and good garden, on main road, in same hands for past 20 years, under good brewers, ingoing by evaluation about £100. 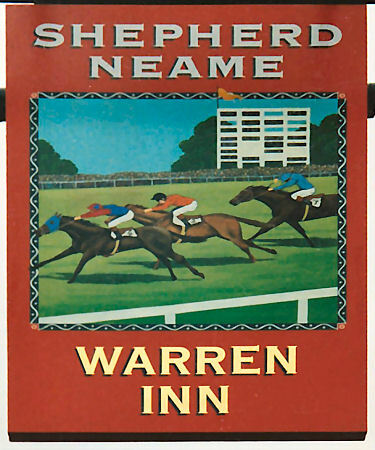 Apply J. Carey, "Warren Inn," New Romney. Whitstable Times and Herne Bay Herald 30 July 1921. MORE EAST KENT LICENSES TO BE EXTINGUISHED. COMPENSATION AUTHORITY GRANT ONE RENEWAL AND REFUSE SIX. Lord Harris presided, on Saturday, at the Sessions House, Longport, Canterbury, over the "Principal" meeting of the East Kent Compensation Authority, the other members of the Committee present being Messrs. W. A. Lochee, C. J. Burgess, Alec Baird, G. F. Raggett, H. H. Green, and A. G. Iggulden. 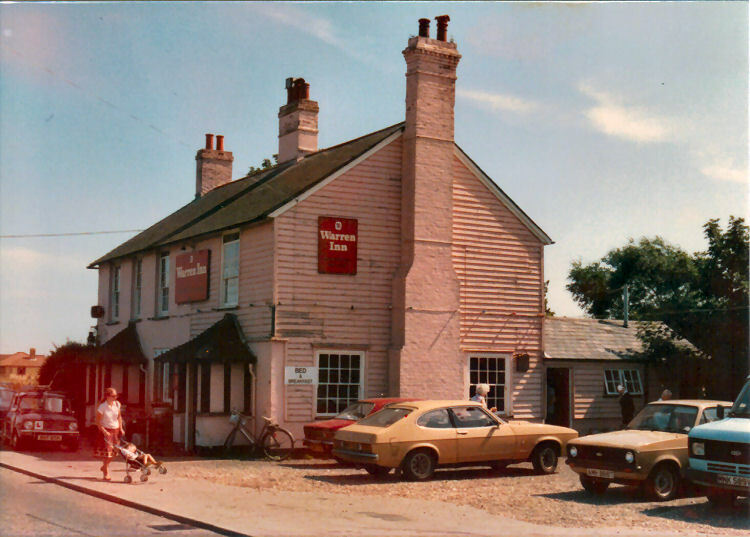 Borough of New Romney:- "Warren Inn," Dymchurch Road, New Romney, licensee, John William Taylor; registered owners, Leney and Co., Dover. 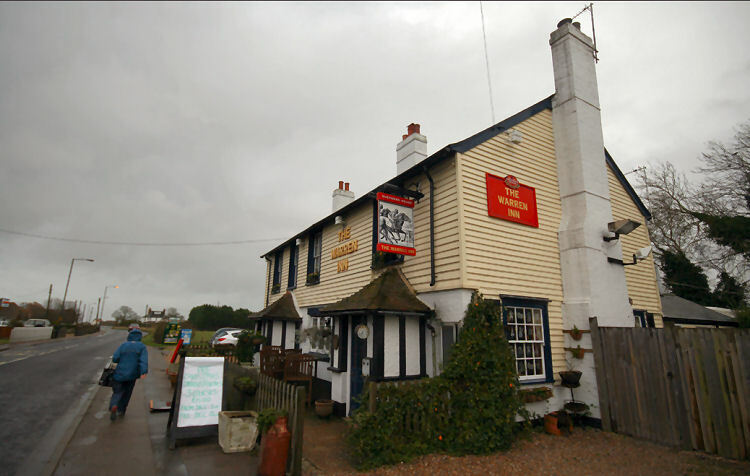 After hearing at length arguments by counsel for the retention of these houses the Committee decided that the whole of them must go for compensation with the exception of the "Warren Inn," New Romney. Folkestone, Hythe, Sandgate & Cheriton Herald 05 January 1935. Littlestone 172. 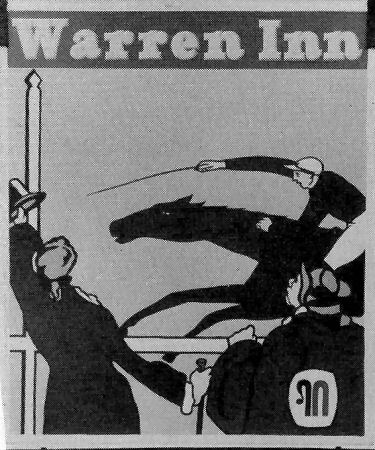 - J. W. Taylor, The "Warren Inn," Dymchurch, New Romney.